Exclusive! Grandchildren come in all shapes and sizes—short, tall, even four-legged! 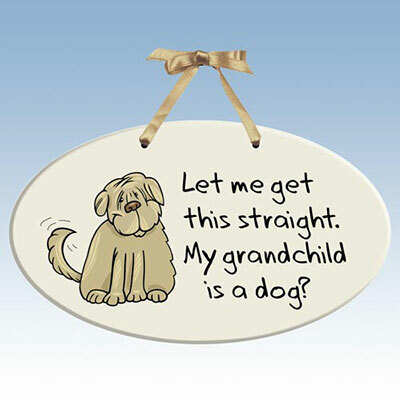 Show your pride of your furry grandbaby with this adorable Grandpuppy Plaque. Brown satin ribbon. Imported. 6½ "w. Hurry! Quantities are limited!